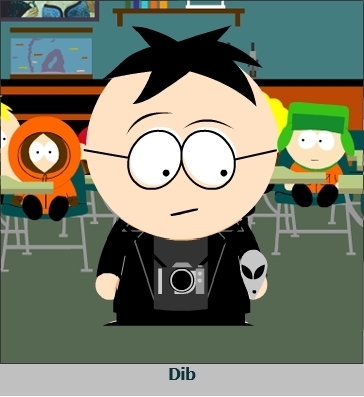 Dib in South Park. . Wallpaper and background images in the Invader Zim club tagged: invader zim zim gir dib. Yeah, is this really on 'South Park'?!?! Where did you get this from? This looks SO COOL! Sorry! Dib's not on South Park. It's just fan made. Though, it would be cool if this was seen on South Park. OMFG!!!!!!!!!!!! ima make Zim on south park! why iiiiiisn't his head big? Miz:"HIS HAIR IS WRONG! HIS HAIR IS ALL WRONG!"